Brothers, James B. ‘JB’ and Preston Ham, husband Dalton Jarman and loving daughter Portia Jarman Hill. Born in Greene County, NC on February 18, 1927. After her marriage to Dalton they farmed land in Kinston. She also worked at Grocery Fair for more than 15 years while raising their daughter, Portia. She was devout and witnessed the Lord’s miracles as a member of Kinston First Pentecostal Holiness Church. She enjoyed a life surrounded by music, singing and playing both steel guitar and the dobro in her younger days. In her later years she received loving care at River Trace of Washington, NC. As she sang daily hymns from her room her voice would ease out into the halls, filling the air with her voice, praising her Lord. 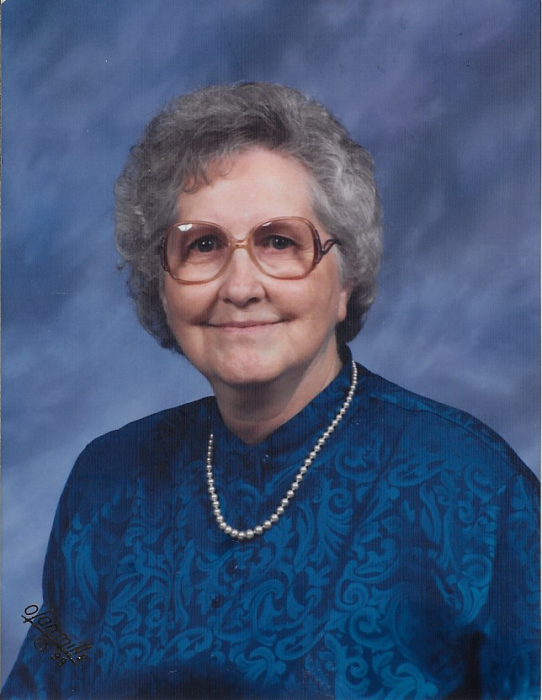 She leaves behind her grandson Clarence Stroud, Jr. and wife Diane of Boone, NC, granddaughter Crissie Taylor Blackmon and husband Glenn of Fort Mill, SC, son-in-law Daniel Hill of Greenville, NC and great-grandson Elijah Dalton Stroud of Boone, NC. Celebration of Life service will be held Thursday, February 7, 2019 at 6:00 p.m. at Howard-Carter Funeral Home, Kinston, NC with Reverend Allen Ham and Reverend Jim Forehand officiating with visitation to follow. A Private Burial will be held for the family at Westview Cemetery.